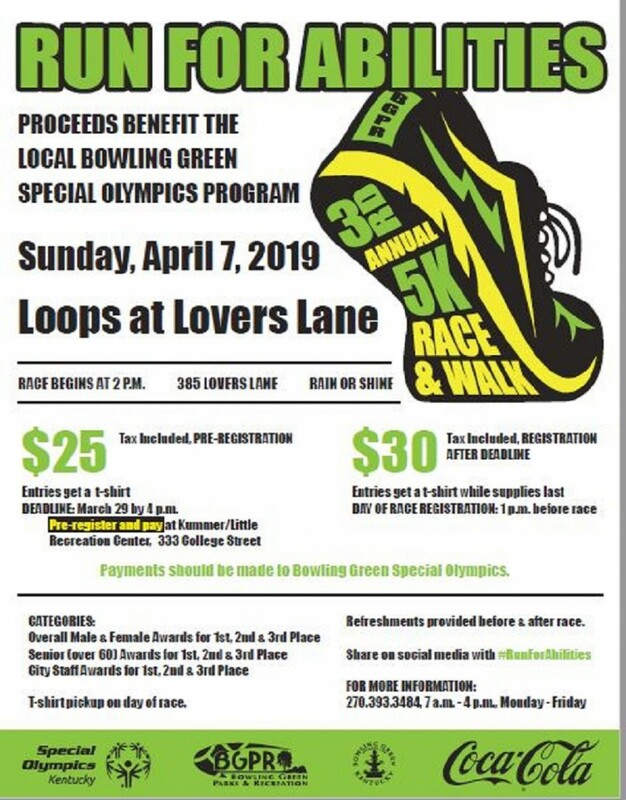 The third annual #RunForAbilities - 5K and Walk will be held at the Loops at Lovers Lane on Sunday, April 7, 2019 at 2:00pm. All proceeds will benefit the local Bowling Green Special Olympics Program. For more information contact Holly Vincent or Cameron Levis at 270.393.3484.